Pokerstars.com is one of the leading websites in online poker today and has maintained a presence as a premier service in the highly competitive business. The site is based out of the United Kingdom but has expanded to include a wide range of regional support across the world. Due to its immense popularity Pokerstars.com hosts a great deal of activity which means it represents an excellent option for online poker players looking for busy tables at any time of the day or week. High traffic within the last few years has placed the site as one of the busiest servers globally so there is never a risk of empty rooms or insufficient fun to be had. Steady population also means that there is ample competition to be found on the site and quick games or tournaments to hop into for varying skill levels. The upper echelons of poker experience are where the site shines the most however as many of the top online poker players flock to the service, leading to higher stakes games and worthy challengers. The poker tournaments at Pokerstars.com have received perhaps the most publicity of late, especially considering the noteworthy performance of some of its members in physical games. Professionals who call Pokerstars.com their home include Greg Raymer, Chris Moneymaker and Joe Hachem, all major names who have generated a lot of buzz for themselves with wins at the World Series of Poker Main Event. A main page counter constantly updates the number of active players and tournaments occurring on the site and one look represents a very good indication of the playing options to be explored. All the most popular styles of poker are available within tournaments and differently staked buy-ins make it so that anybody can get into a game, from a short, cheap table to a long and expensive series of rounds. Pokerstars.com looks fantastic as well and functionality is not lost in favour of aesthetics. The site lobby and tables are all very clean and colourful with neatly labeled seats, cards and chip amounts. While perhaps not as flashy as other online poker services, Pokerstars.com definitely has a great look while placing ease of use at the forefront of its goals. 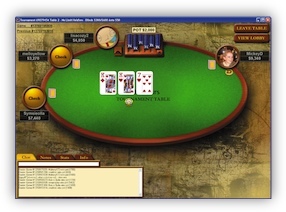 Players can upload pictures of themselves and choose from different themes for tables so that the screen they spend so much time at is set up according to individual tastes. 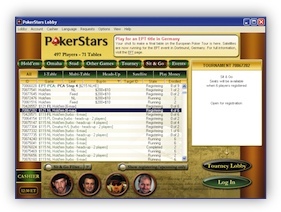 The free Pokerstars.com software runs smoothly as well which is important given the extremely high traffic of the site and its often demanding features (including multi-tabling up to eight concurrent games or gathering large amounts of player and table data with only a few clicks). There is constant support and service available which allows players to access help at any time if necessary. Aside from this the site also has solid security features with encryption software being updated every three months, ensuring that your information and money won’t fall victim to innovations in piracy. Pokerstars.com random number generation software has been certified by Cigital Inc. and was verified as having met the industry standard. 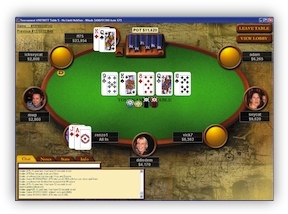 Overall, Pokerstars.com can be seen as deserving the accolades and popularity it has received and maintained over recent years. The site is accommodating for any experience level or style of player but where it comes through the best is probably in the arena of highly skilled users looking for quality tournaments and tough competition. Pokerstars.com place within the business as a highly respected, well run and superbly financed company makes it a good choice for any player looking for a solid online poker destination and it definitely shines with the ability to progress as far as your skill and pocketbook allow. Pokerstars.com is a download only client but it does offer a download client for both Windows and MAC OS X. So, the ever growing Mac user base can sign up and play at Pokerstars.com without any software issues or having to run Pokerstars.com on a virtual Windows machine. I am a Mac OS X user so this keeps me happy! 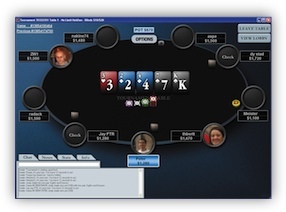 We have tested both the Microsoft Windows and Mac OS X download versions of the Pokerstars.com software and we are happy to report that they both perform very responsive and look professional, all adding to the game experience you would expect at Pokerstars.com. Pokerstars.com has a 24/7 support offering which is based around a customer support email. As most of the larger Poker providers, Pokerstars.com does not offer telephone support. However, we tried the email based support and received an answer to our sign up issue within 10 minutes. Pretty good considering we did it at 1030 GMT. The following deposit and withdrawal options are avalable at Pokerstars.com.